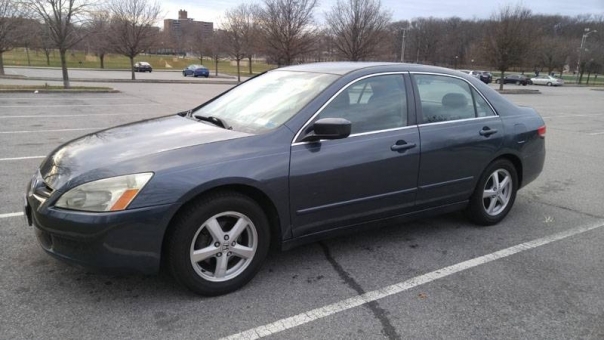 Up for sale is my 2004 Honda Accord LX sedan. Car currently has close to 130k miles and it is my daily driver. It has automatic transmission and four cylinder engine. Car is excellent in gas. I have title in hand. Just put the key in and drive. Car is located in New York City. Buyer is responsible for pick up. Bring your own mechanic to inspect the car before you buy. Cash money only. Please call/text with any questions. 917-449-1564.